The University of the Third Age is very much an international organisation but with strong roots in the community it serves. There are branches in Australia, Cyprus, New Zealand, South Africa and Poland – to name but a few locations. It is particularly strong in France, where it was launched by Toulouse University in 1975. In 1983 a Cambridge academic, Pater Haslett, hosted a conference with a view to setting up a U3A branch in the United Kingdom. During the conference an interview was given to a local radio station, prompting over 400 letters of interest. Cambridge U3A was born. From the outset, Peter Haslett and his co founders rejected the idea of direct association with any University. He preferred what we have today, each local U3A branch fully independent, self funding and democratically managed. At the initial conference it was agreed that the University of the Third Age should be open to all people in their Third Age – that is, no longer in full time employment. It should be educational in its widest sense, including leisure and social pursuits as well as academic interests. Once Cambridge U3A was established, the next two cities to launch branches were London and Huddersfield, where a weekly dance class featured strongly. Now, in 2016, the University of the Third Age is about to celebrate the launch of the 1000th U3A branch. In the UK there are over 450,000 members and the national organisation is growing at the rate of 22,000 members per annum. The main dynamic of all U3As is the focus on activity groups. 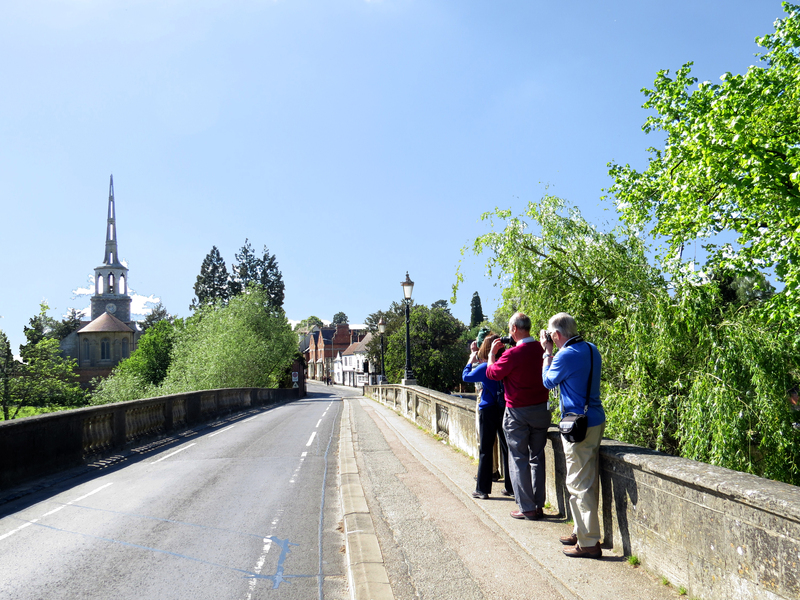 Wallingford Thameside U3A has over forty separate groups, all studying and enjoying many and varied interests, from Latin to Pétanque to current affairs to country walking, to singing. In addition to membership of one or more groups, members meet monthly for a talk on a general interest topic, attend a coffee morning for a social get together, take one of the monthly excursions and enjoy an annual celebratory lunch. We have at present about 450 members, while some city U3As have over 1000. Wallingford Thameside U3A was founded some ten years ago by the original Wallingford U3A, that still meets in Crowmarsh and was itself launched in 1983. All UK U3As are members of the Third Age Trust, that provides national leadership through a representative committee, with administrative and educational help supplied when requested. The Trust is supported by a small professional office staff. Thameside Wallingford U3A is also a member of the Thames Valley U3A Network. The objectives of the Network are to advance the education of members of U3As in the Network and encourage leisure activities by facilitating cooperation between U3As in the Network. The Thames Valley Network organises various meetings and Study days that may be of interest to Members. Watch out for these in our News items, or click onto the link above to browse what’s happening.